Explanation: Above is one of the closest pictures yet obtained of Saturn's ice-spewing moon Enceladus. The image was taken from about 1,700 kilometers up as the robotic Cassini spacecraft zoomed by the fractured ice ball last week. Features the size of a bus are resolvable in this highly detailed image taken of Enceladus' active tiger stripe region. 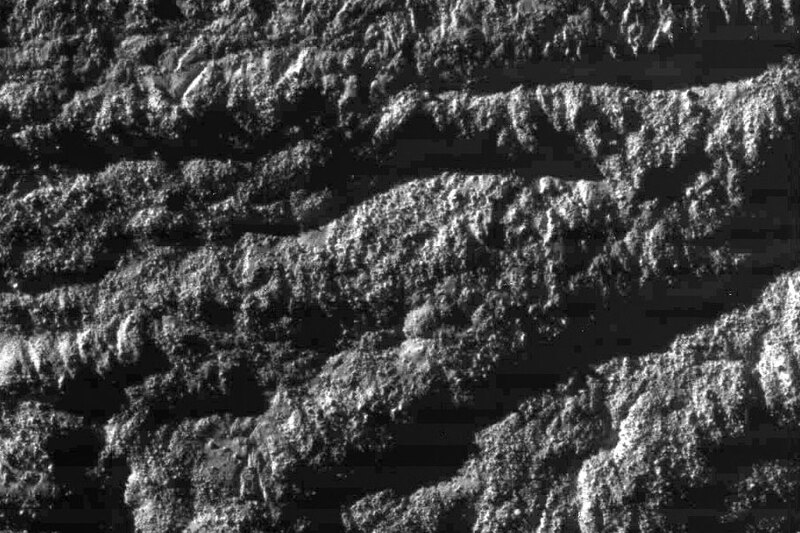 Very different from most other moons and planets, grooves and hills dot an alien moonscape devoid of craters. 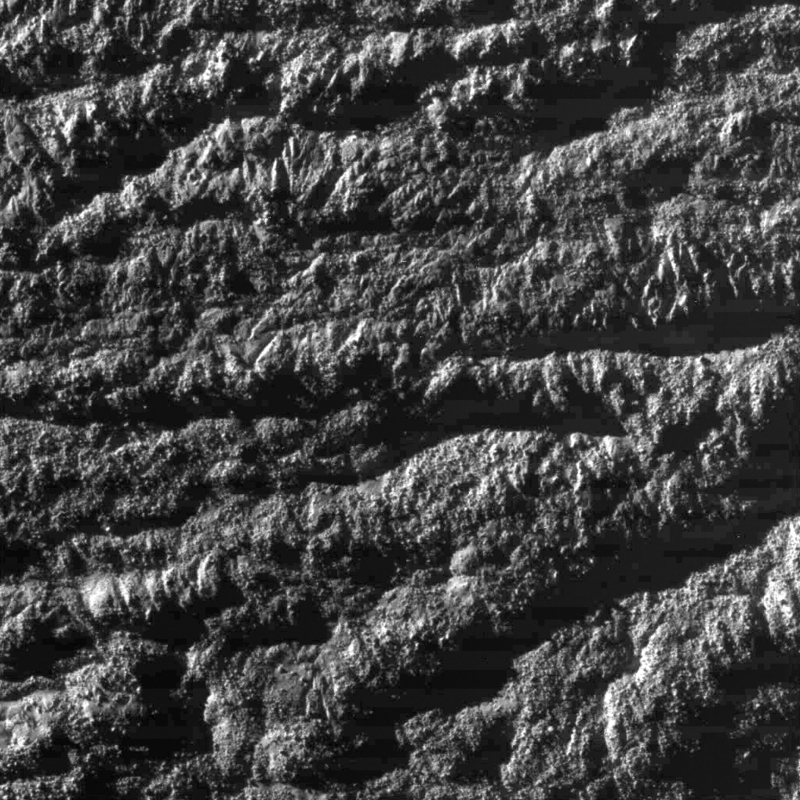 Space pioneers might wonder where, on such a highly textured surface, a future probe might land in search of freshly deposited ice, subsurface seas, or even indicators of life. Although appearing dark in the above contrast-enhanced image, the surface of Enceladus is covered with some of the brightest ice in the entire Solar System, reflecting about 99 percent of the light it receives. To help better understand this enigmatic world, Cassini is scheduled to swoop by Enceladus at least five more times.